I don’t know about you but I blame becoming a blogger for igniting my obsession with candles. (See what I did there?) I genuinely wasn’t bothered about them before I started writing, then seeing other bloggers with their pretty candles and hearing about how gorgeous the scents were, I thought I’d try some, and I’ve never looked back! 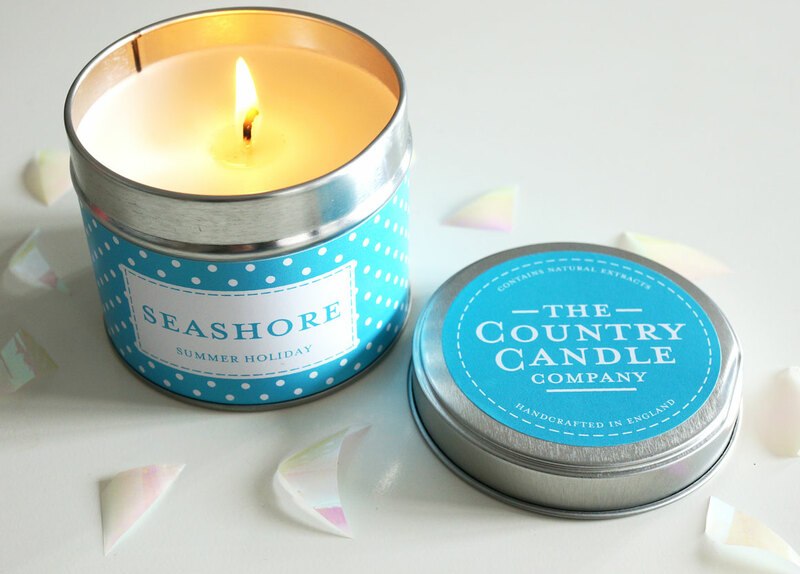 The latest addition to my ever growing collection is the Seashore candle in a tin from The Country Candle Company. The Seashore candle in a tin is £8.50 and gives 30 hours of burn time, and you can also purchase the same scent in a medium jar or diffuser. The Seashore scent is described as ‘A brisk blend of fresh, marine and sea salt merges with jasmine, supported by dry woods, amber and musks’ I have to say this candle simply smells divine. Other candles I have tend to be sweeter and richer – which I love, but this is literally a breath of fresh air, giving a clean and fresh scent and feeling to my home. It’s like waking up on a summers’ morning feeling invigorated, then going for a stroll down the beach! I’ve noticed I’ve been burning this candle when I’m cleaning around the house and doing the washing up! The Country Candle Company have a massive range of candles on offer including, Orange Blossom & Jasmine, Vanilla Lime Sorbet and Lime, Basil & Mandarin to name but a few. I’m loving the sound of Gingerbread, Sparkling Spice, and Orange, Cinnamon & Clove for winter time! I’d love to hear what your favourite candle scents are? Of if you’ve tried anything from The Country Candle Company? Next Post AW14 Makeup Trends | My Predictions!